What makes us different? Speak with a live, local person every time you call! Our master plumbers and certified service technicians are capable of installing and servicing all brands of plumbing, heating and cooling equipment. 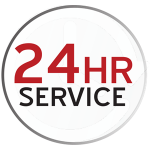 Our dependable drivers are on call 24/7, and deliver the finest bio-blended heating oil, clean propane gas and kerosene. Click here to find a Cota & Cota office near you. Click here to schedule a delivery. Have a generator and worried about not having enough fuel for a power outage? Don’t panic! A 10K generator runs off of a 500 gallon propane tank. If your tank reads 60%, and the generator is running at maximum capacity, you will power your home for 8 1/2 days. With a power outage, the generator will not run at night, as very little power will be needed. Our offices will remain open and we will be making regular deliveries. Don’t worry — Cota & Cota will not leave you stranded. I'm not sure, please call me. How did you hear about Cota & Cota? I understand that Cota & Cota, Inc. can not process any accounts without my signature. I also understand that by filling out this request, I will be sent an application for my signature, and a credit check will be performed. Additional information may be required. Click here to submit a question about your bill. What is your billing question? Click here to request a heating system repair. What is your service or repair? Click here to request a plumbing repair. Give the Gift of Warmth this Holiday Season! A member of the Cota & Cota team will contact you to obtain payment for the gift certificate. We accept Mastercard/Visa, or you may stop by any of our offices to pay in person. Click here to request a vehicle repair.